With the recent achievements of the Apollo CV Awards, 8Cr. Kms. 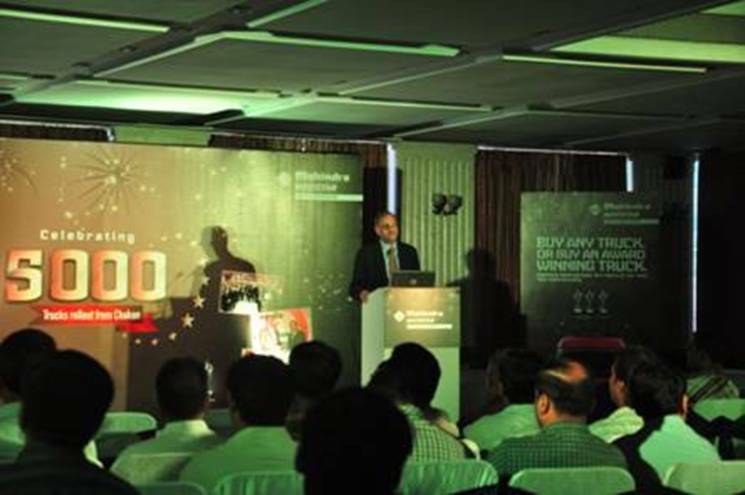 Clocked and 1001 service points around the nation, Mahindra Navistar raises their bar of expectation with the recent 5000th truck roll-out at Chakan. 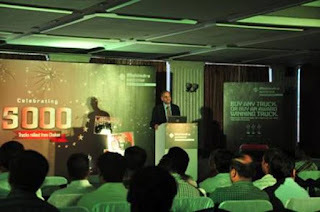 Taking its celebration a notch higher, Mahindra Navistar was the talking point for Media in Gujarat. 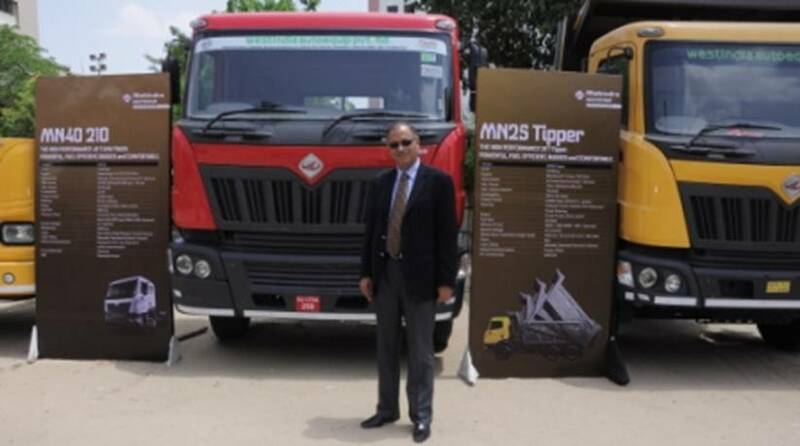 Present at the occasion was the Mahindra Navistar MD, Mr. Nalin Mehta along with many media delegates to celebrate the 5000th truck roll out in Chakan. Speaking on the occasion, Mr. Mehta expressed his vision for the future of the Gujarat market and the team’s plan to launch newer products. Also another special highlight of the evening was the 200 HCV sales clocked by the Mahindra Navistar team in Gujarat within a year. Top newspaper houses like Gujarat Samachar, Divya Bhaskar, The Times of India, Business Standard, The Indian Express, Sandesh, Rajasthan Patrika, Prabhat and Jai Hind, along with 45 top journalists of leading dailies of India were present to cover this occasion. Mr. Nalin Mehta making his speech at the Gujarat Event. Mahindra Navistar has always stood strong for its ideal of OK is no longer OK and has proven itself time and again. With the vision to change the Indian Trucking for the better, Mahindra Navistar marches on to bring more outperforming examples in Indian Trucking.